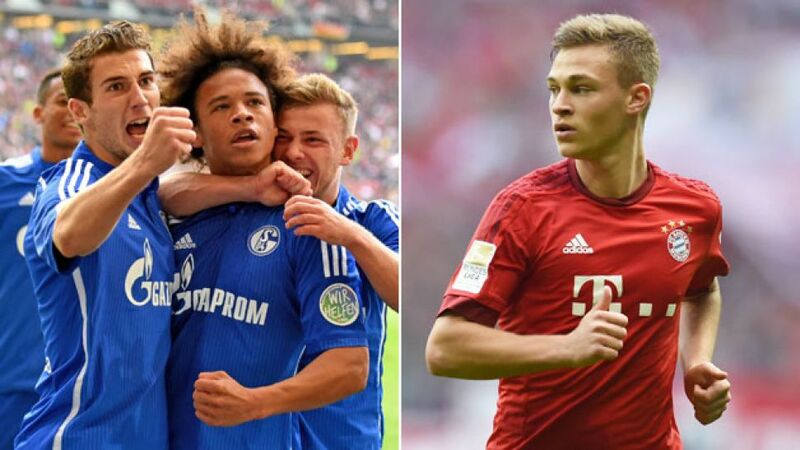 If the performances of the FC Bayern München and FC Schalke 04 contingents in Germany Under-21’s 4-2 win against Austria on Thursday are anything to go by, then Saturday’s clash between red and royal blue will be a spectacular affair indeed. While stars such as Xabi Alonso, Klaas-Jan Huntelaar and ex-Schalke Wunderkind Manuel Neuer lend the fixture an air of glamour, the presence of Schalke trio Leroy Sane, Leon Goretzka and Max Meyer, as well as Bayern’s Joshua Kimmich, ensures that, in keeping with the Bundesliga’s footballing credo, exciting young talent will be given a chance to shine. Germany U-21s got off to a nightmare start in Fürth when Hamburger SV’s Michael Gregoritsch converted an early penalty, but some inspiring performances – particularly from Schalke’s young guns - saw them coast to a stylish 4-2 win in their UEFA EURO 2017 qualifier at the Stadion am Laubenweg. Meyer was a constant menace between the lines, Goretzka bossed the midfield with a natural captain's authority while the athletic Sane ran the visiting defence ragged all evening. That all three ended up on the scoresheet – with Meyer teeing up his skipper's strike – was an added bonus, and each player will be chomping at the bit to start against the league leaders in Gelsenkirchen at the weekend. Waiting for them in the Bavarians' matchday squad will likely be midfielder Kimmich, who turned in a similarly impressive display on Tuesday. The 20-year-old has been tipped as a future star for the Germany senior team by Bayern coach Pep Guardiola, and despite the huge competition for places, Kimmich should take great encouragement from the Spaniard’s comments after his performance against former club VfB Stuttgart on Matchday 12. “He’s brilliant in every training session and he was brilliant in this game,” gushed the 44-year-old. “He deserves to play more than he is, but he’s not grumbled once. He could almost be my son.” The prospect of Kimmich lining up against Meyer, Sane and Goretzka on Saturday is therefore not only extremely enticing but also looks ever more likely, particularly after Thiago Alcantara was ruled out with a knee injury. Kimmich’s time to make himself even more of a Guardiola favourite starts now.